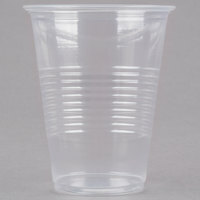 Serve beverages at your catered event, nightclub, or casual restaurant in these convenient disposable plastic cups. 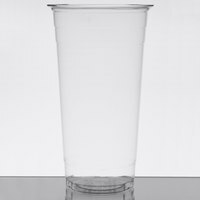 You can serve many different drinks in disposable plastic cups, like soft drinks, cocktails, beers, and water, making them an excellent all-purpose choice for your business. 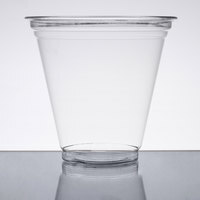 These plastic cups come in a wide variety of colors and design options, allowing you to find a product that matches your establishment's theme or color scheme. 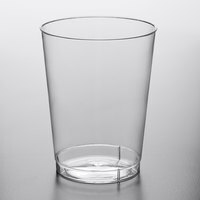 Additionally, you have a large selection of material types to choose from, ranging from thin and affordable options to more heavy-duty and professional-looking cups. 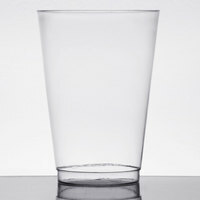 As an added bonus, we offer several eco-friendly plastic cups, which are ideal for businesses that are looking to reduce their environmental impact. To learn more about the differences between these products, explore the tabs above and the filters on the left side of the page. 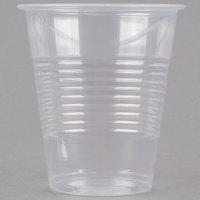 Featuring a clear or solid color design, plain plastic cups are a versatile option for your business. 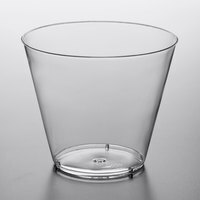 These products are mostly clear, but they feature a minimalist design that can complement any setting. 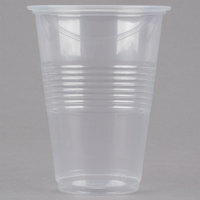 Choose from our wide selection of colored disposable cups to find the option that matches your decor or theme. 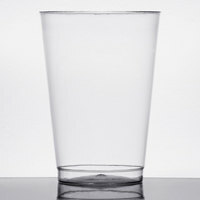 Show your support for your favorite college football teams by choosing cups with NCAA team logos. 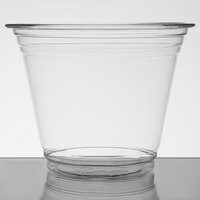 Perfect for tailgates, sports bars, and parties, these cups feature your favorite NFL team logo. 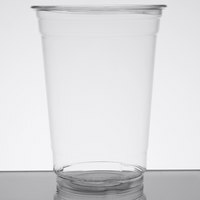 PET plastic cups are lightweight, strong, and impact-resistant. Plus, they're even recyclable. 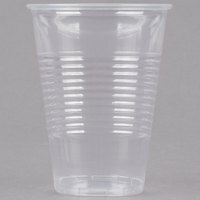 Made from renewable resources, PLA plastic cups are compostable but still durable and break-resistant. 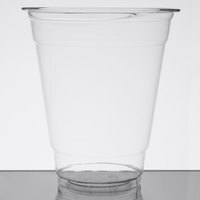 With a flexible and clear construction, polypropylene cups are excellent cost-efficient alternatives to PET plastic. 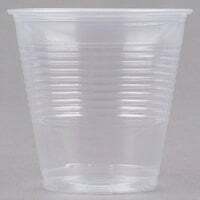 Available in solid color and clear options, these cups are made of shatterproof, flexible polystyrene. 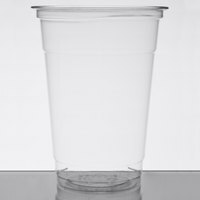 Made out of flexible materials, these thin wall disposable cups are crack resistant to make them a quality yet economical option. Coming in a variety of color options, medium wall cups also feature a crack-resistant and flexible construction. 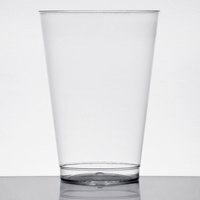 Hard wall cups have rigid walls for a heavy weight feel as well as a clear construction with a smooth exterior. 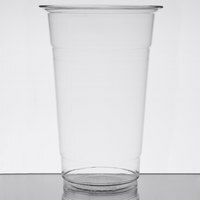 Support the domestic economy and American businesses by choosing these cups. 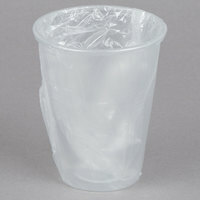 Add your hotel or restaurant's personal logo to these disposable cups. 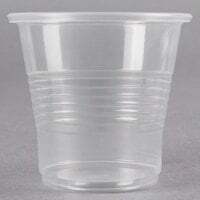 Eco-friendly plastic cups are made from renewable or recycled materials. 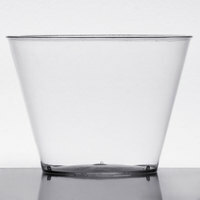 Protect your cups from dirt and dust by choosing these wrapped options. 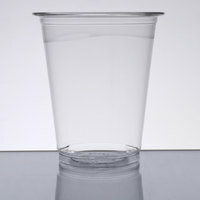 Whether you’re stocking up your beverage service station, setting a table, or catering an event, these plastic party cups and drinking cups are a convenient choice for your service. 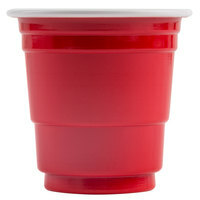 From classic red cups to vibrant lime green colorful plastic cups, we have a variety of options. Be sure to also check out our disposable table covers and disposable table skirting options to complete your setting. And don’t forget to stock up on straws for easy and fun sipping. 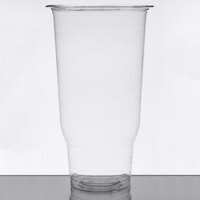 If you're wondering where to buy disposable plastic cups, we have a large selection of disposable plastic cups for sale at the lowest prices.